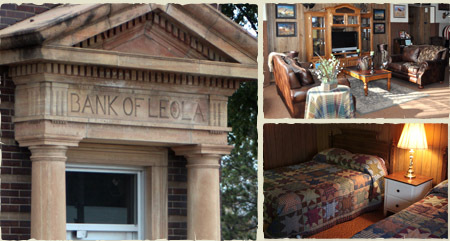 Built in 1903, this renovated yet rustic bank turned hunting lodge is located on small town Main St. in Leola, South Dakota. 4,500 acres of private hunting land in central McPherson county, and thousands of public hunting acres nearby. Old Bank Lodge is a proud Pheasants Forever Partner in it's conservation efforts to build sustainable wildlife habitat around the nation. © COPYRIGHT 2015 | Old Bank Lodge. All rights Reserved.